Almost five years ago, UPS introduced the general public to logistics when it launched its “We [Heart] Logistics” ad campaign, which helped raise public awareness about the logistics industry — and helped my family and friends better understand what I do for a living. UPS wants people and businesses to think differently about the company and what it can offer, beyond “just thinking of our capabilities of making shipments from point A to point B,” said Maureen Healy, vice president of customer communications. It’s a goal shared by most third-party logistics providers (3PLs): getting customers to think of them from a broader, more strategic perspective. I would argue that the challenge starts internally: getting a 3PL and its employees to think differently about their business, a challenge I wrote about last March in 3PLs, What Business Are You In? And when it comes to shippers, they have to stop putting 3PLs in a box. In the past, you had a box for freight forwarder, a box for broker, a box for warehouse operator, and so on. Over the years, service providers have busted out of those boxes — via mergers and acquisitions, new business models, and new product development — to pursue new growth opportunities, and to provide manufacturers and retailers with more complete, “end-to-end” supply chain solutions. So, put aside your existing biases and assumptions, stop putting 3PLs in a box, and focus on the question that matters the most when defining your supply chain strategies and initiatives: What are our desired outcomes? So, go ahead UPS and other 3PLs, solve problems, but make opportunities too. 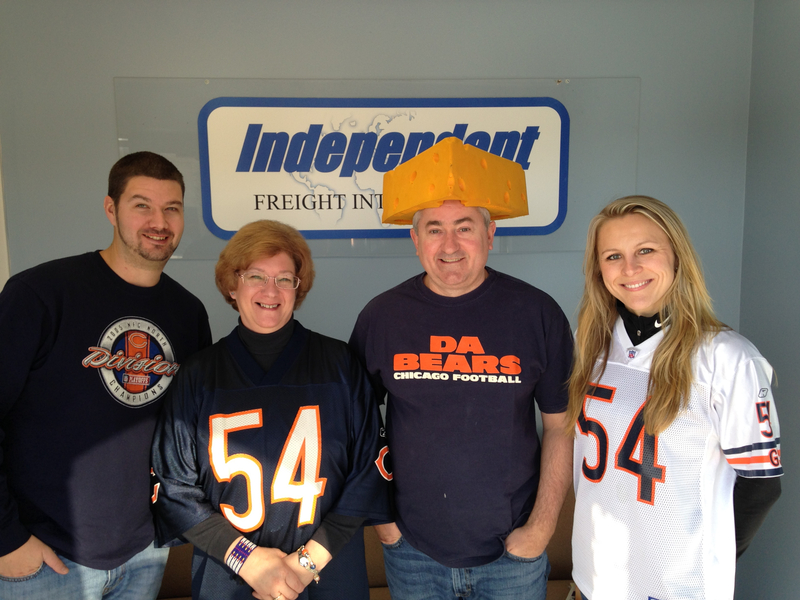 Having been soundly trounced by division rivals Green Bay Packers in both of this season’s games, Stewart Brown and Chicago Bears fans at Independent fulfil one of this year’s terms of the annual wager with a Wisconsin based furniture client by wearing the ‘Cheesehead’ hat unique to Packers Fans. 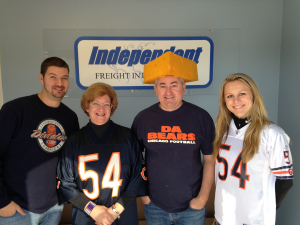 Independent Staff Lose this year’s Bears/Packers challenge ! Comments Off on There is always next year !